Boutique Day 2016 was a great success! 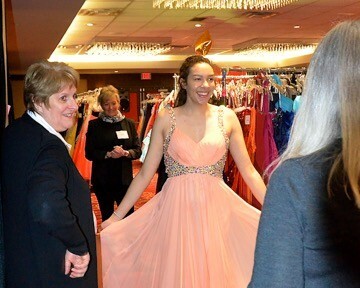 We welcomed nearly 200 Cinderellas and Cinderfellas on Sunday, February 28th to join us for Boutique Day at The Pinnacle Hotel Vancouver Harbourfront. We came together as a community and celebrated these students as they reach for the milestone of graduation. Thank you so much to all of our volunteers, sponsors and donors for their help. And congratulations to all our Cinderfellas and Cinderellas – we are all so proud of you! We have such great sponsors that help us make dreams come true! Thank you for your support. Photos courtesy of Dale Ziegler, our official Cinderella Project Photographer. See some of the media coverage of Boutique Day 2016! 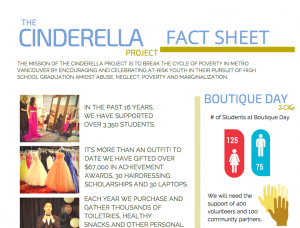 Did you know that The Cinderella Project provides several Achievement Awards each year? To date we have awarded over $67,000, 30 laptop computers and 30 hairdressing scholarships. 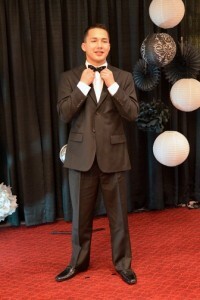 Most students referred to The Cinderella Project are not eligible for traditional scholarship funding, and the Achievement Awards are designed to recognize our students’ special needs. Past funding has helped students to attend school with childcare, to purchase tools for trades, and to secure adaptive technology for distance learning. 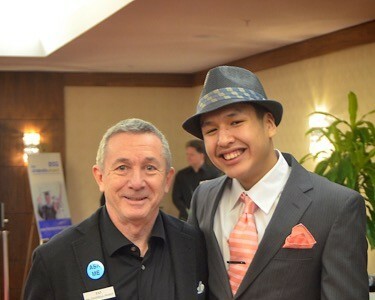 Did you know that your donations not only help us encourage at-risk youth to stay in school and complete their high school education, but allow us to offer financial assistance for post secondary education? We are excited to have students attending the following schools, thanks to your generosity: Langara, BCIT, SFU, UBC, McGill, UVIC, VCC, Capilano University, Emily Carr University, Ryerson Polytechnic, MIT, UBCO, Queens and many more! Well done!! We are very proud to share that our Co-Founder and Co-Executive Director, Heather MacKenzie has won a 2015 YWCA Women of Distinction Award in the category of Community Champion. Recognized nationally, the YWCA Women of Distinction Awards honour extraordinary women leaders whose outstanding activities and achievements contribute to the well-being and future of our community. Congratulations to Heather and to all the winners and nominees of this year’s YWCA Women of Distinction Awards! 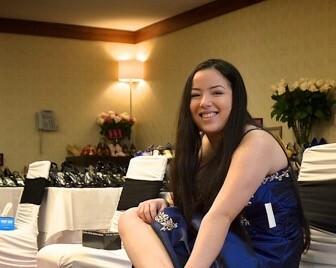 At the Cinderella Project’s 16th annual Boutique Day, held at The Pinnacle Hotel Vancouver Harbourfront, over 180 Cinderellas and Cinderfellas and at least 400 volunteers came together in a day filled with mentorship, blossoming confidence, and dreams of the future. To learn more about our program, you can read our fact sheet or see what happens during Boutique Day. We had some great media coverage, which you can find here. You can follow us on Facebook to see more of what we are working on throughout the year. 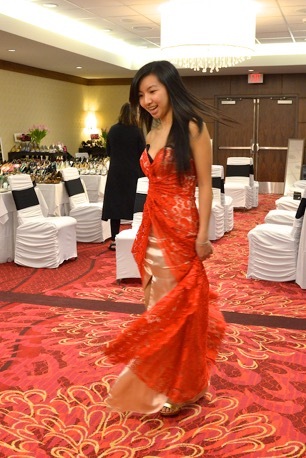 Boutique Day is a day of unconditional support, recognition and self-esteem building. You can help us provide opportunities such as achievement awards, mentorship and resume building by visiting our donation page. 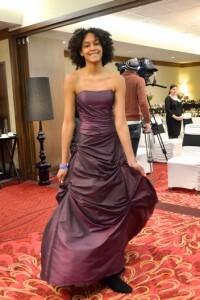 The Cinderella Project is a federally registered, 100% volunteer-based charity. Every penny raised goes to helping the students in the project. Our goal is to help break cycles of poverty by encouraging at-risk youth to stay in school and complete their high school education. Thank you so much to all of our sponsors and donors. You are helping to make a substantial difference in the lives of these students. And a huge thank you to all of our volunteers who helped us spread the magic this weekend, and throughout the year. Contact us by email or phone (604-603-9155). © 2019 The Cinderella Project. All Rights Reserved.